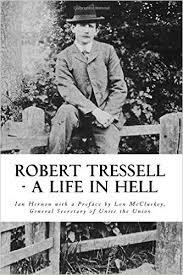 Ian Hernon, political journalist, deputy editor of Tribune and author of the new biography Robert Tressell: A Life in Hell, will be at the university to speak about his new book. The Marshlink line ends the year on a high, with regular Sunday services returning to Three Oaks and Winchelsea as from 13 December. The news was released by Kevin Boorman, chair of the Marshlink line community rail partnership. Meanwhile MP Amber Rudd is campaigning on three rail fronts. Nick Terdre reports.